Muslim Women In India Ask Top Court To Ban Instant Divorce : Goats and Soda To end his marriage, a Muslim man in India only needs to say 'talaq,' meaning divorce. A growing movement wants to change this practice. Seema Parveen, 42, has been divorced by three different men. In India's Muslim community, a husband can divorce his wife by uttering the word "talaq" — Arabic for divorce. "His whole family was upset," she says. In conservative northern India where they lived, boys are preferred over girls — who have been traditionally viewed as a burden. When her daughter was one month old, Parveen went to stay with her mother. "That's when my husband wrote and said, 'Talaq.' "
All that's required for a Muslim man in India to end a marriage is to declare, talaq, which means divorce in Arabic. Pronounced three times, it's irrevocable. Many Islamic countries have banned the practice. Parveen says her husband rebuffed all her attempts to return to him. "I was so young," she says, "I didn't know what was happening." 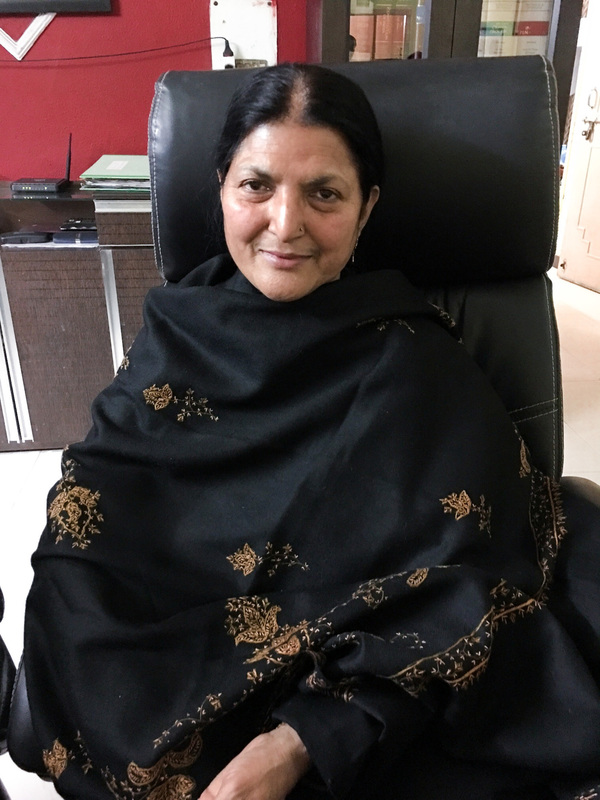 Maimoona Mollah, president of the All India Democratic Women's Association, Delhi Chapter, condemns the practice of talaq as "unilateral" and "arbitrary." Mollah says women can also initiate divorce. But members of the community say a woman must first consult a cleric, while a man, she says, "severs the relationship" on his own. She says there needs to be a "formal process" for any divorce where a woman and her children receive financial support. The way talaq is practiced, "it definitely stands in the way of a woman getting her rightful place," Mollah says. Several divorced women have petitioned India's Supreme Court to ban this form of instant divorce. Countries including Pakistan, Tunisia, and Egypt have curbed the practice and moved divorce into the orbit of the state and judiciary. Parveen has been divorced three times by three different men. None provided financial support. She went back to school to support herself and her child, and she began teaching Urdu. Her third husband-to-be demanded that she quit her teaching job after what she describes as his lavish promises to keep her financially sound. She complied and, in 2010, Parveen married him only to be treated like a "servant," she says — "mentally and psychologically abused." "My husband and his sons would beat me, lock me in a room and deprive me of food," she says. Parveen says husband number three abandoned her, then delivered talaq by telephone. But Parveen has gone to court to defend her right to be in his home. When pressed on why she would subject herself to such maltreatment, Parveen answers softly but matter-of-factly: "Where will I go? My father's dead. There's no one to take care of me. But I have rights to my husband's pension, and I'm not giving that up." She brought a lawsuit in a district court and won the right to financial support from her third husband, although she's not seen any yet. 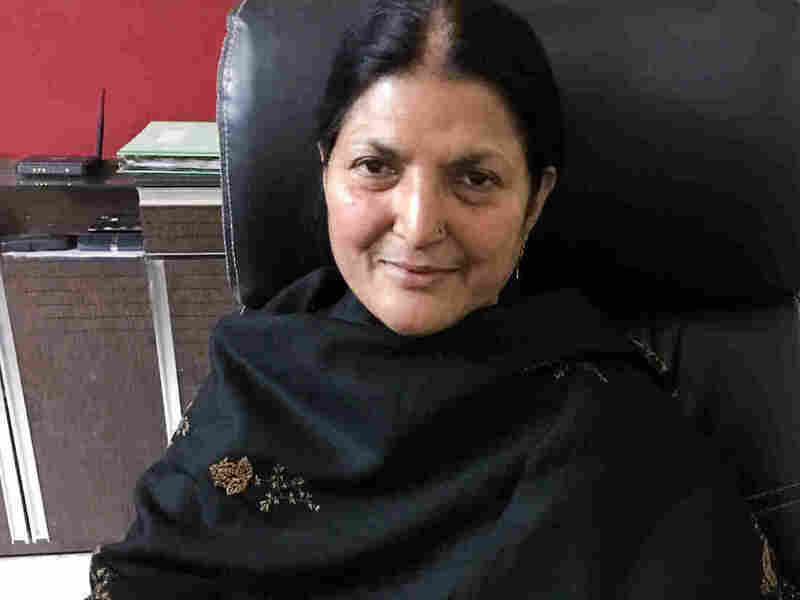 Zakia Soman, co-founder of the Indian Muslim Women's Movement, says her organization sees many women who want to stay in unhappy marriages to avoid becoming destitute. These women seek to keep "the status of wife" because they are so vulnerable, she says. Soman calls talaq a "sword hanging over a woman's head," and says domestic violence and the male prerogative to declare instant divorce are intimately linked. She says frequently the husband threatens: "'Do this, or I'll talaq you! Don't do that, otherwise I'll talaq you.'" She says: "I should know because I've had a very bad marriage myself and being beaten was my fate for 16 long years." Soman fled after she and her son were savagely beaten. Days later the letter arrived from her husband announcing divorce. Up until then, Soman says the social pressure to remain in that marriage was immense. She calls it "the woman trap" — the feeling that you need to make it work. Like many women, she assumed "that whole burden of the institution of marriage," she says. In 2015, Soman's organization surveyed India's Muslim community, the world's third largest. It found that 1 in every 11 women has had their marriage ended by talaq. Of those divorced women, fewer than five percent ever gets any financial support. Activists like Soman say India's conservative clerics sanction this practice, relegating Muslim women to second class citizens. "'Where is the need to consult a woman? Where is the need to take her opinion,' is what they feel," she says. And "they are passing it off in the garb of religion." India's Supreme Court will consider whether talaq is integral to Islam and thus a practice constitutionally protected under freedom of religion. The Muslim Personal Law Board, which unofficially governs the community, says talaq is valid as divine law and opposes any reforms. "Talaq is an honorable way of dissolving a marriage, without going to the court of law," says S.Q.R. Ilyas, a member of the Muslim Personal Law Board. "The wife can re-marry ... life goes on." But Tahir Mahmood, a renowned expert on Islamic law, says the Quran sanctions divorce only after a period of reflection and attempted reconciliation, usually lasting three months. "This is a precondition of divorce. Who bothers about it? Nobody bothers about it," Mahmood says. "No man is free to pronounce an instant divorce." He calls that practice a perversion of Islam and says it should be struck down. "The original version of the Quran ... insists on gender equality. And that is precisely what is missing in India," he says. He says many of the country's politicians are careful not to offend powerful clerics within India's sizable Muslim community. Such politicians are interested "in votes" not "in social change," Mahmood says. "The only hope is the judiciary." Some of the women who have petitioned the courts to abolish instant divorce say aligning it with the Quran would end the exploitation. Others, like thrice-deserted Seema Parveen, would like divorce placed before the civil courts, removed from religion altogether. Zakia Soman says the courts provide women "a level playing field." But she says reforming the Indian Muslim community's divorce customs won't be easy. "Legal reform is just one part of overall reform which is required in society ... This is just the beginning," she says.